If you are short of time and after a truly memorable and unique experience you cannot look past Elephant Hills 2 Day Jungle Safari. Staying in the rainforest in a luxury camp you are treated to an encounter with elephants that you’ll find hard to beat. This coupled with canoeing and trekking through the rainforest in the safe hands of fully trained guides, this tour ticks all the boxes. 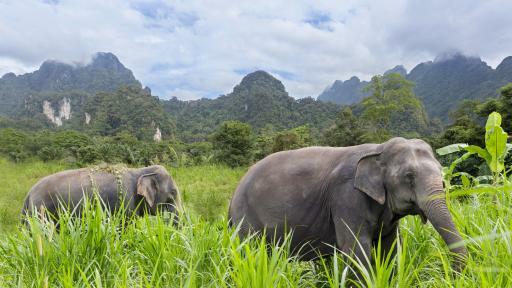 Combining two fantastic locations, this 3 Days Elephant Hills Jungle Lake Safari tour take in the best of Khao Sok National Park. Not only do you get the opportunity to marvel at the majestic elephants at the Elephant Hills Conservation Project but you also get to stay in the amazing Rainforest Camp where there are 10 luxury floating safari tents. 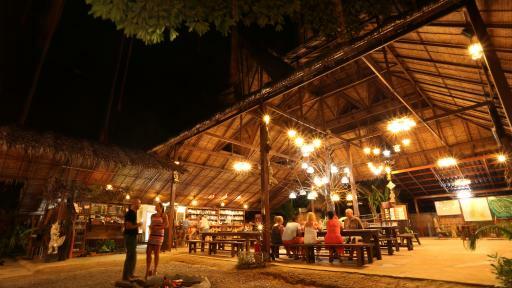 Are these activities on your Thailand holiday list? 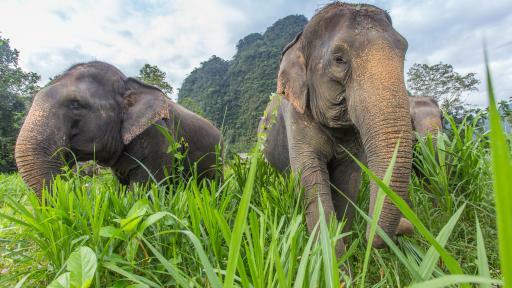 Encounter Asian's magnificent elephant, canoe tranquil waterways, trek through dense and diverse rainforest seeing wildlife such as monkeys, reptiles and hornbills - then this 3 Day Elephant Hills Jungle Safari tour is for you. 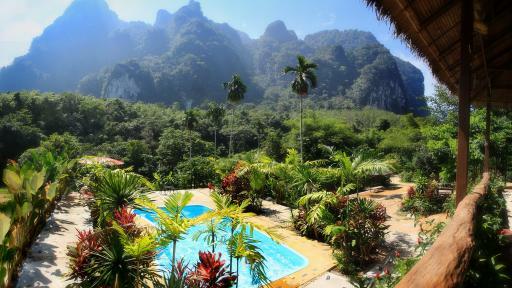 Staying in luxury tented accommodation at Elephant Hills camp in Khao Sok National Park this tour will leave you satisfied, ticking off these must do activities on your bucket list. This 4 Day Elephant Hills Beach and Rainforest Nature Safari will satisfy the keenest nature lovers! Interact with the magnificent Asian Elephant at the conservation centre, whilst gaining an understanding of the daily duties of their mahouts (the elephant caretakers). This in conjunction with the opportunity to explore mangrove beaches, canoe down the Sok River, cruise on the Cheow Lake whilst being surrounded by the virgin rainforest of stunning Khao Sok National Park will leave you with a deeper appreciation of the natural wonders of this region.